The GO! St. Louis Marathon Weekend is the city’s favorite running tradition – it includes all kinds of local favorites including famous St. Louis food (Ted Drewes frozen custard and toasted ravioli! ), great neighborhoods and city parks along the route, and a start and finish line at the famous Gateway Arch on the St. Louis Riverfront. Spartan Race is pleased to return to Porter Farms, a 600-acre family owned and operated establishment in the peaceful town of Concord, North Carolina. The 3+ mile course will be spread out over 100 acres of land that typically plays home to peaceful pastures on a sprawling farm, but on this weekend it will transform into an outlet for the passionate Spartan community. Despite being a fast and flat course, this venue provides racers with an array of difficult challenges that are guaranteed to push each participant to their limit. Join us as we celebrate women and fitness at the Northside Hospital Atlanta Women’s 5K on Saturday, April 14, 2018, for a day designed for women. With the special mother-daughter and sister team award categories, finishers medals and flowers at the finish line and a women’s-fit Mizuno performance shirt, the Atlanta Women’s 5K is the perfect event for women and girls ages 8 & older. Run through some of San Diego’s most beautiful beaches, bays and resorts, with this fast, flat and scenic half marathon, 5k and 8k. San Diego Beach & Bay Half Marathon is a fast and flat course through some of San Diego’s most beautiful coastline. The course follows a scenic and spectacular route, showcasing some of San Diego’s most visited destinations. Stick around because the party starts at the finish line with live music, a beer garden (your first 12-ounce beer is on us! ), snacks, photo opportunities, and much more. Pat’s Run is the signature fundraising event to support the Pat Tillman Foundation’s Tillman Scholars program. Held annually to honor Pat’s legacy, the 4.2 mile Run/Walk held on April 21, 2018, will wind through the streets of Tempe, AZ and finish on the north side of Sun Devil Stadium with a Race Expo and Post-Party. All 4.2 Mile Finishers at the Tempe race will receive the limited-edition ASU-themed Race Shirt and Pat’s Run Collector Medal. You need to see Salt Lake City in order to believe it. 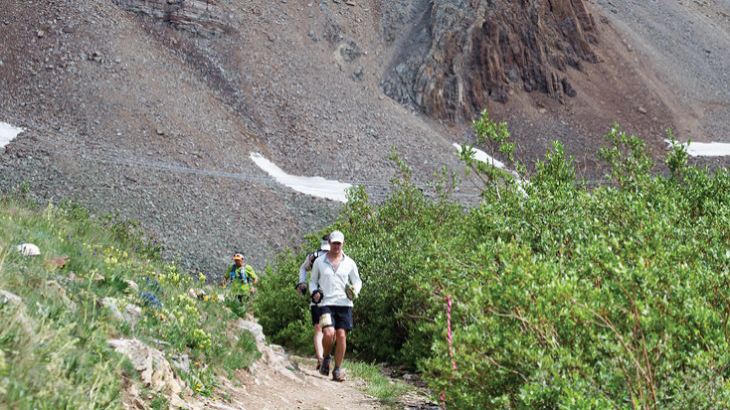 Run through the city’s iconic landmarks while surrounded by the towering Wasatch Mountains. Finish victoriously and celebrate with friends and family at the historic city hall building. It’s challenging, yet beautiful. We’re showing you the view. Starting off at the Olympic Legacy Bridge at the University of Utah, the site of the 2002 Winter Olympic Athlete Village, the gentle course works its way toward the base of the towering Wasatch Mountains. Celebrating its 34th Anniversary, the GW Parkway Classic boasts a USATF certified course along the scenic George Washington Memorial Parkway. The 10-mile starts at Mount Vernon Estates, the 5K starts at Belle Haven Park with both ending along Union Street at Oronoco Bay Park in historic Old Town, Alexandria. The Parkway Classic is a primary sponsor of the Boys & Girls Club of Alexandria. The best way to experience the Jersey Shore! Run a Half or Full Marathon Sunday through the ocean towns of Oceanport, Monmouth Beach, Long Branch, Deal, Allenhurst, Loch Arbour, Asbury Park & Ocean Grove. A scenic, fast and flat point-to-point, great for PRs and BQs Also a Saturday beach-front 5K and Kids Runs! Pre-race party and bib pick up at the Diadora Exposition and Runner Mercantile and cold beer post-race on Sunday courtesy of Asbury Park Brewery (for participants who are 21+). Oklahoma City hosts the Oklahoma City Memorial Marathon as a tribute to those who were killed, those who survived and those changed forever. It also supports the privately owned and operated Oklahoma City National Memorial & Museum. Since its inception in 2001, it has grown continuously and attracted some of the elite runners in the world. Over time, the Oklahoma City Memorial Marathon has evolved into one of the best races in the country, while its emotional and inspirational power – as we reflect on what we can learn from the tragedy of April 19, 1995 – has never waned. The Marathon is a Boston qualifying USATF sanctioned event on a certified 26.2-mile single loop course. As is par for mountain courses, you’ll be sent up and down — a lot — thankfully there’s the reward of a view from the outstanding heights. Come prepared for the unexpected in the weather department… mountain weather is notoriously unpredictable. If this is your first time on a Spartan Race course don’t underestimate how long you’ll be out there. 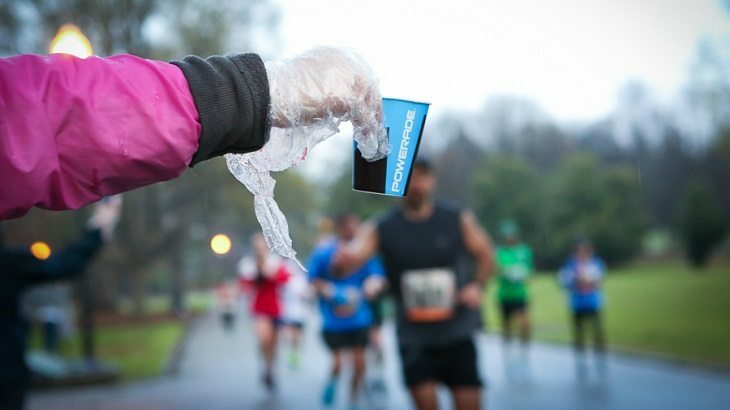 Be sure to bring enough to fuel you through the course. Some things are certain: there will be rope climbs, there will be barbed wire, and there will be heavy carries. No one likes 30 burpees and that’s why it’s wise to train hard, train well and be prepared to conquer each and every obstacle.